For anyone who has visited my last couple of teasers, you'll know that I've been working my way through A Game of Thrones. 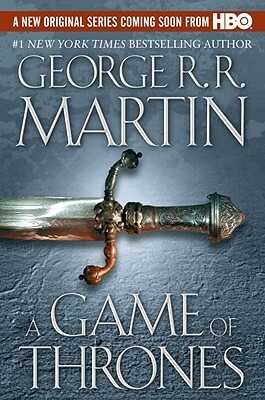 It's been a slow progress as I don't have as much time as I would like to devote to reading, but I've been enjoying the book so far and seeing how well the HBO series mirrors it. For this last teaser from this book (I'm determined to have a different book to tease from next week), I wanted to quote Daenerys Stormborn, a character that I have truly fallen in love with and admire. She has probably impressed me the most out of all the amazing characters George R. R. Martin has created in this epic world. And I love this particular passage because it's the first time that she willingly and openly defies her brother, discovering that there truly is nothing to fear of him. And this, I feel, is the turning point for her becoming the strong woman she grows into. Leave a link below and have a wonderful Tuesday! I've been curious about this one...good teaser! I love Daenerys....she's a great character...she started off so scared and beaten down but has become so strong by this point in the story...great teaser! Oh I need to try these. :) Thank you. One of these days I need to give this one a try again. Don't know why it didn't work for me the first time, but knowing my reading tastes, it seems like I should like it, lol.